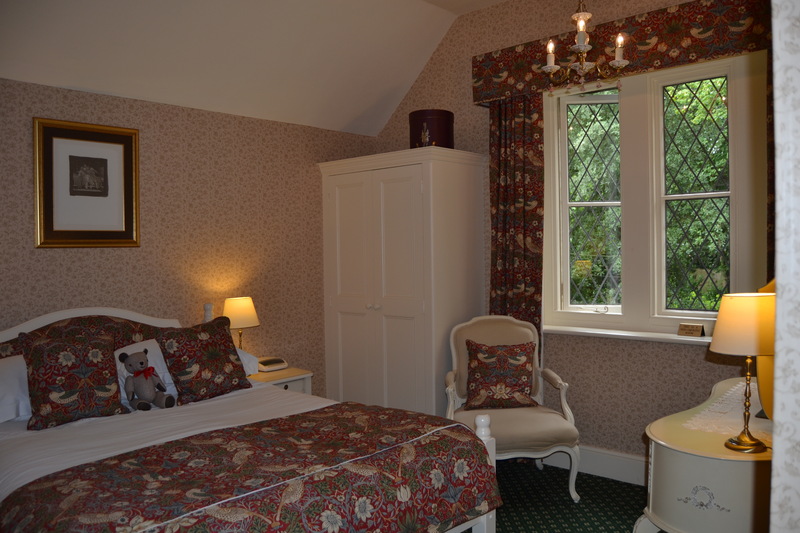 All of our rooms are ensuite with either a shower or a bath with a shower over. They are all decorated differently but in keeping with the style of the house. 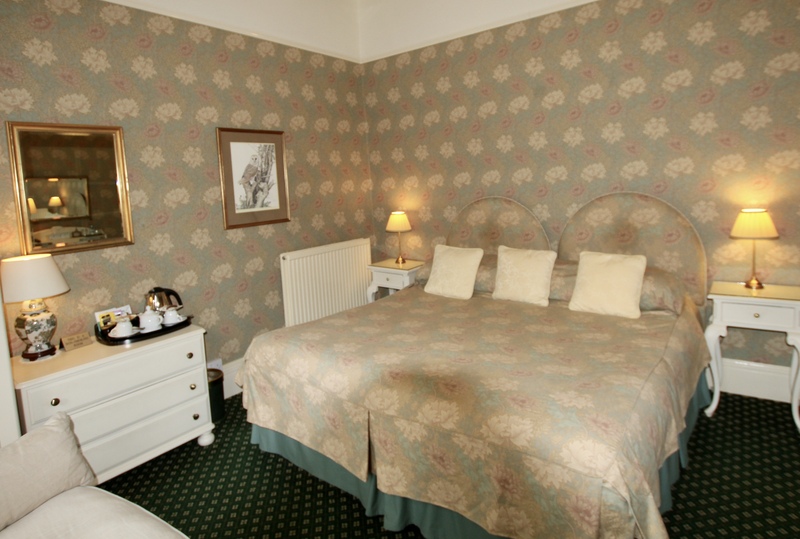 We provide tea & coffee making facilities and Penhaligon toiletries along with bathrobes. Each room has a hairdryer and an iron and ironing board is available on request. We also provide a complimentary bottle of water. 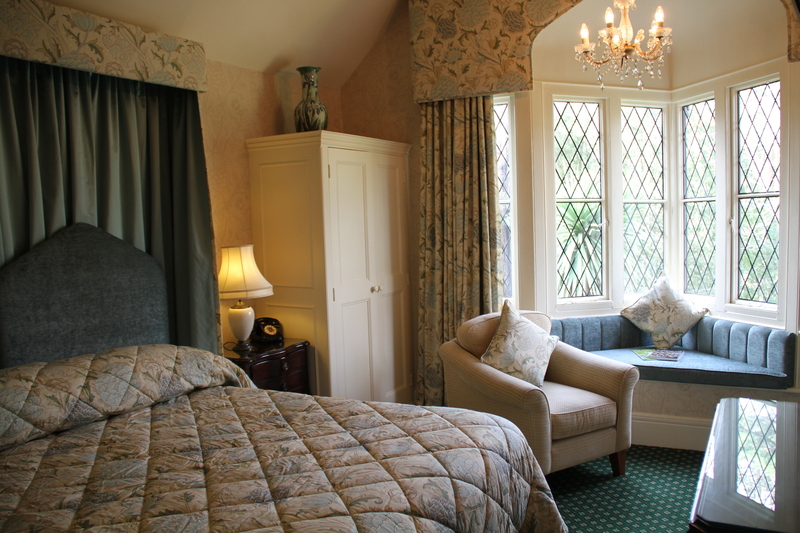 Ash is one of our most popular Superior Bedrooms due to its position overlooking the gardens at the front with glimpses through the trees to the sea.This room has a cream decor with cream furniture. The En-suite is a bath with a shower over. There is a sofa and a lovely feature window seat. The bed is a 5ft / 150cm Double mattress. The room measures 5m x 4m. A lvely light room at the rear of the property overlooking the back garden. If you're lucky you may see red squirrels on the trees and the rope between the trees! There is a double length Shower cubicle in the en-suite. Sanderson wallpaper is the decor with a feature window seat to sit and observe those squirrels, blink and you'll miss them.The bed is a standard UK double at 4ft6in / 135cm. Room measues 2.85m x 3.35m. 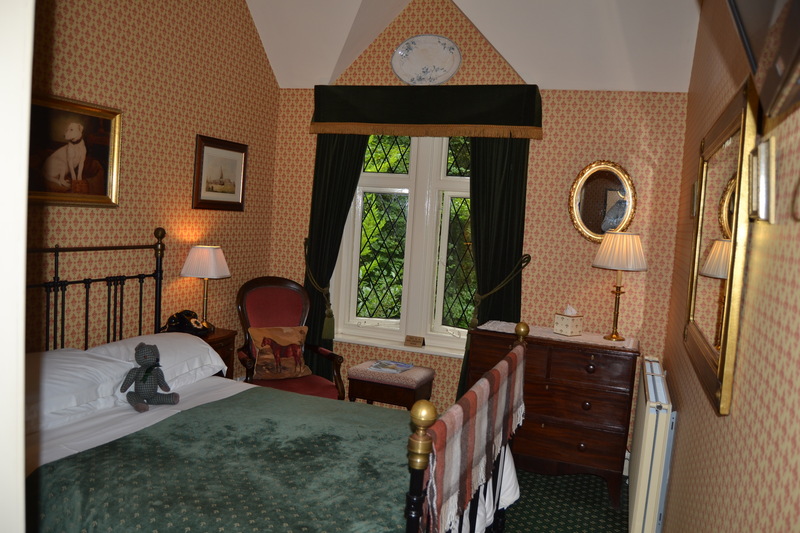 This room looks out onto the courtyard and the gardens leading up to the crazy golf and the old village. 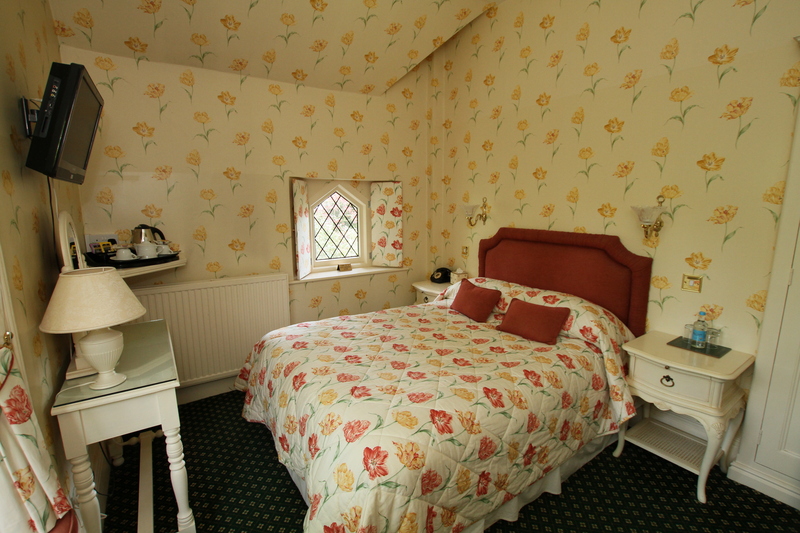 This standard deluxe room has a V&A wallpaper with William Morris "strawberry thief" fabric and Laura Ashley furniture. The en-suite has a bath with a shower over. 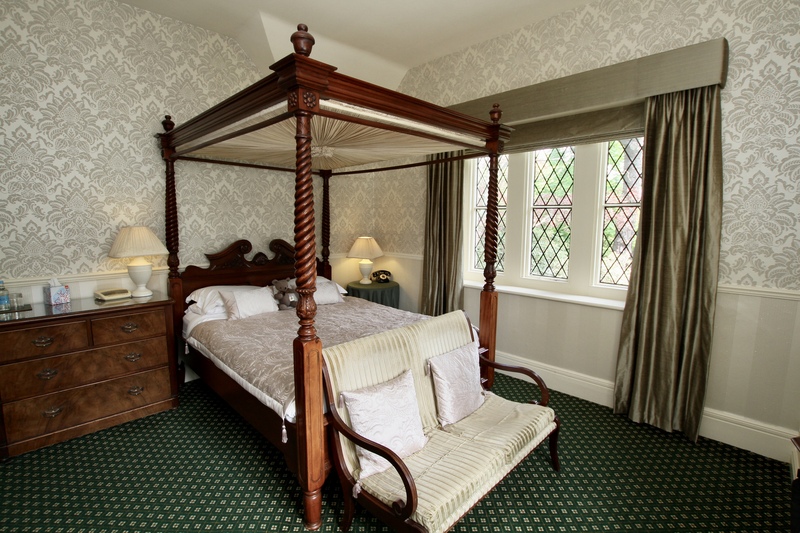 The bed is a standard UK 4ft6in /135cm double bed. 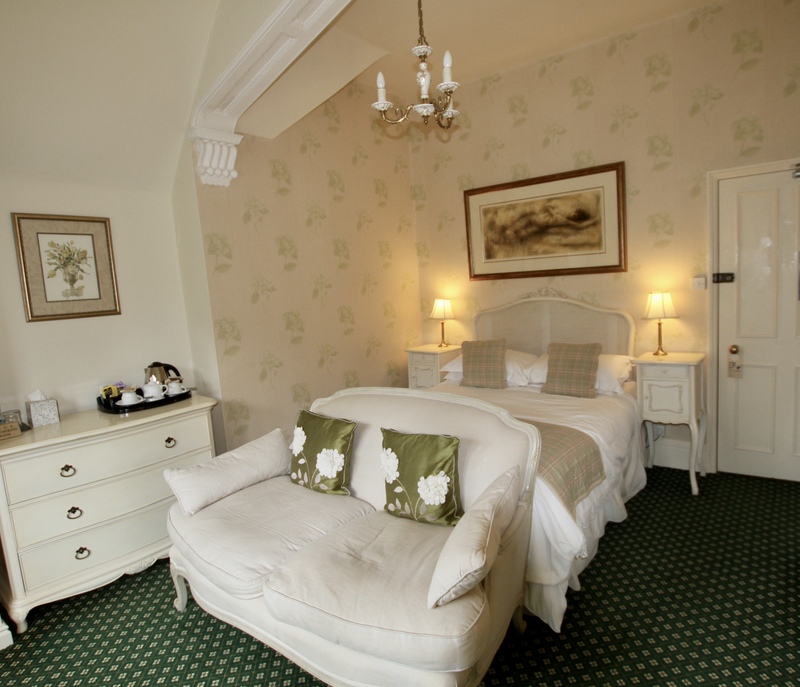 The last of our Superior double rooms. This room features a 5ft /150cm bed with a canopy over the headboard. 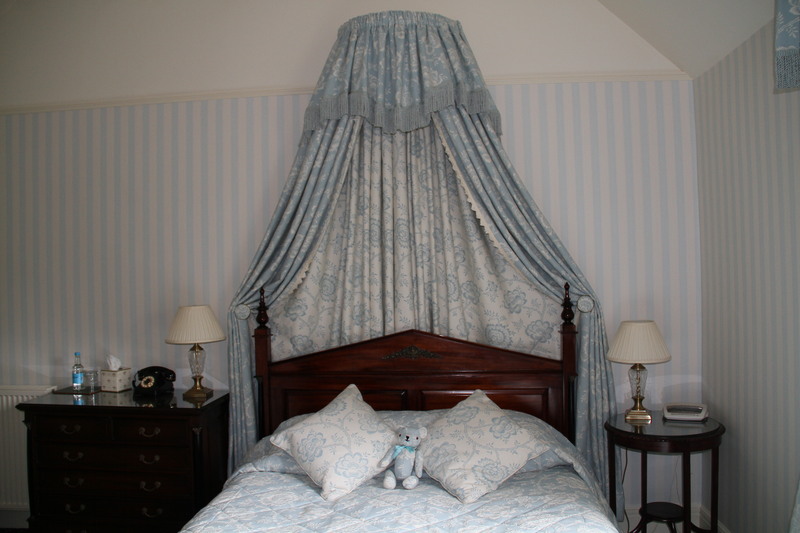 The fabrics and wallpaper are by Jane Churchill and very popular with guests. There are co-ordinated pictures and mirror along with an armchair. Looking out over the front of the house this room is a popluar choice.